Swanson Coconut Oil softgel capsules are a great source of energising medium-chain triglycerides to supplement your diet. 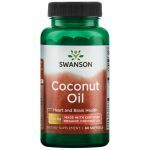 What makes medium-chain triglycerides remarkable is that they are quickly absorbed by the small intestine, thus immediately transforming them into an effective energy source. 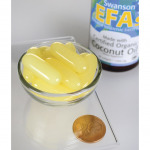 Furthermore, coconut oil delivers natural fatty acids, especially lauric acid. The body is able to quickly process these and turn them into a source of energy. 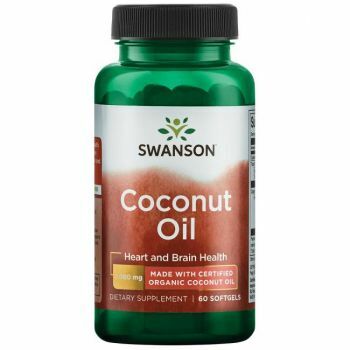 Our natural coconut oil is extracted from certified organic coconuts and delivers 400-560 mg of lauric acid per dose.